Builder Jared Chan has a superpower of taking large things and miniaturising them in LEGO. This set of vintage items looks like it’s been plucked right from a sitting room somewhere. I can’t decide on which is my favourite of them all; there’s more than one that really screams out to me. 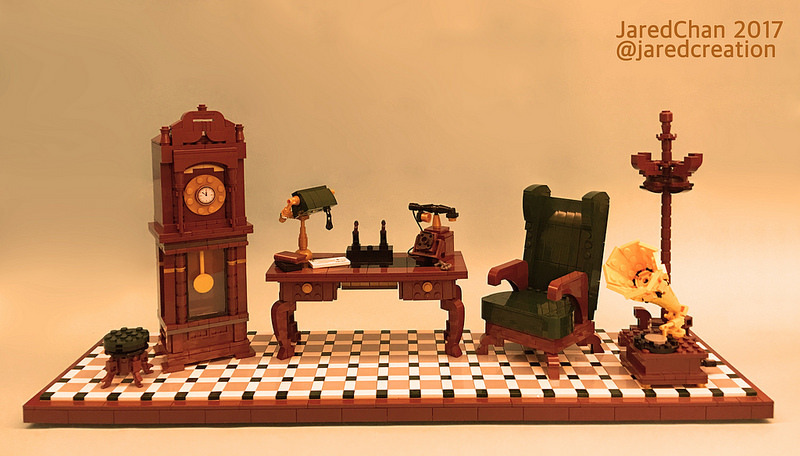 I’m torn between that the gramophone or that beautifully sculptured desk. Which is your favourite?